GHANAIAN President John Mahama has outlined the ruling party’s plans for the next four years in a bid to establish policy credibility ahead of what is expected to be a tight general election in December. The speech, delivered early this week ahead of the launch of the National Democratic Congress’ manifesto on Saturday, contained few of the attacks on the opposition New Patriotic Party that might have been expected given the audience of party faithful. Instead it spelled out in detail government plans to grow the economy, particularly the vital cocoa, oil and gold sectors, and deliver benefits to the population of about 26 million. Mahama is bidding for a second and final four-year term in office and his speech contained proposals for industry, energy, infrastructure, health and education. It also outlined plans on topics ranging from prison reform to mental health care and even how to provide help for ageing and impoverished musicians. ‘The manifesto highlights contain policies and programmes that will consolidate the achievements so far chalked up and, in addition, introduce new plans that will launch Ghana into a new era of accelerated growth and the transformation of the economy,’ he said. The speech lasted nearly two hours and was punctuated by shouts of ‘Four more years!’ from the audience. Voters regularly turn the government out of power in Ghana, one of Africa’s most stable democracies, and policy debate is considered a crucial electoral battleground. For this election, both parties are under pressure to explain how they will fund their pledges given that the country is following a three-year IMF programme designed to restore macro-economic stability. So far, neither party has provided detailed costs for its plans. Mahama said gross domestic product growth would be more than 8 percent next year, up from a forecast 4.1 percent in 2016, and the budget deficit would fall to 4.9 percent of GDP this year from an initial projection of 5.3 percent. The country is the world’s second largest producer of cocoa behind its neighbour Cote d’Ivoire and he said public-private partnerships would be introduced to raise production to more than 1 million tonnes a year from around 750,000 tonnes. ‘The people of Ghana are not going to vote for you because they like your party symbol or your party colours. They are going to vote … because you have offered what they see as a credible programme,’ foreign minister Hanna Tetteh told Reuters. Opposition leader Nana Akufo-Addo has vowed if his party wins power to give every constituency the equivalent of $1 million a year to alleviate poverty by installing basic services such as electricity, running water and sanitation. 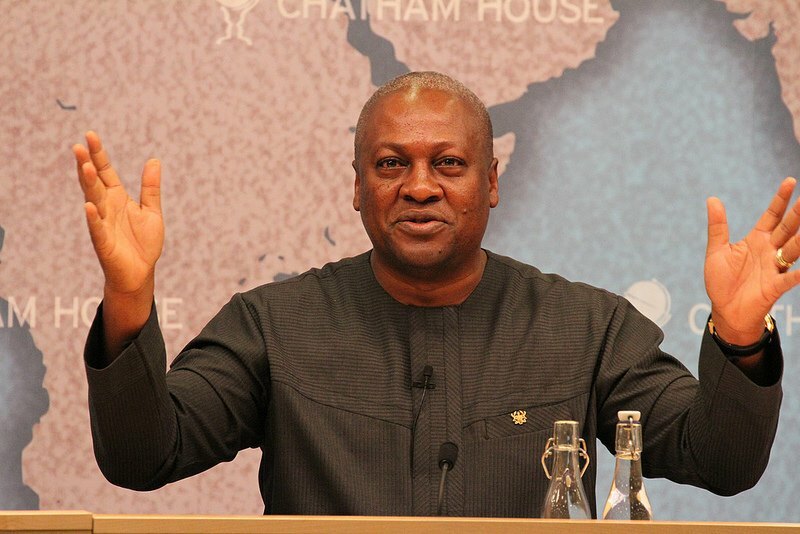 Mahama said the plan would lead to incoherent development.